James Taylor in concert at Greensboro Coliseum, NC on 5/15/81. 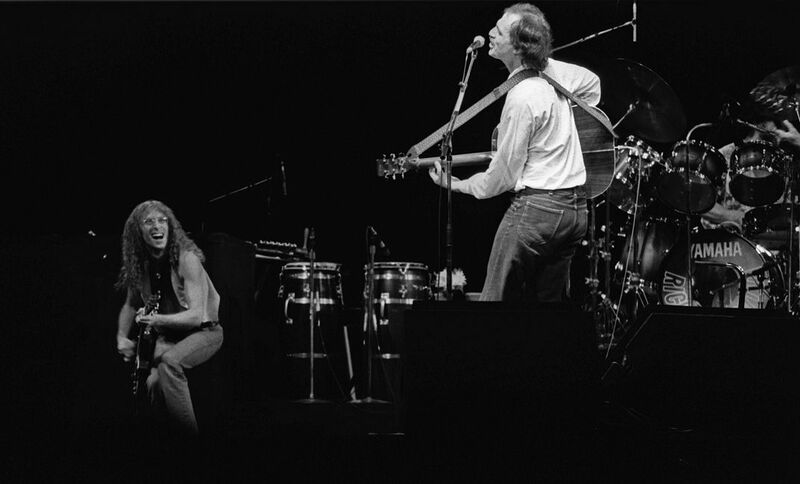 James Taylor (right) and Waddy Wachtel (left) rock out on a song. Made photos from my seat. Date Uploaded: Nov. 24, 2016, 11:05 a.m.